Trying to find the nutritional info for fermented potatoes. Wondering if the carb count stays the same with so much of the starch removed? 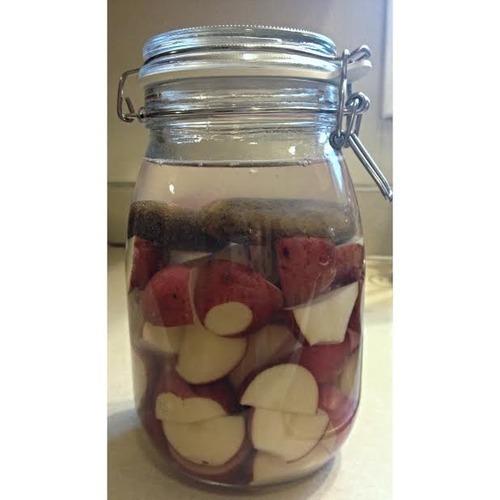 I haven’t measured the carbs contained in the fermented potatoes but would imagine that the carb count is lowered as much of those carbs are from starches.